23. An RF-powered wireless temperature sensor for harsh environment monitoring with non-intermittent operation. P. Saffari, A. Basaligheh, V. Sieben, and K. Moez, IEEE Transactions on Circuits and Systems I, vol. 65(5), pp. 1529-1542, 2018. 22. Measuring asphaltene deposition onset from crude oils using surface plasmon resonance. V. Sieben, S. Molla, F. Mostowfi, C. Floquet, A. Speck, and K. Chau, Energy and Fuels, 2017, vol. 31(6), pp. 5891-5901. 21. Optical measurement of saturates, aromatics, resins, and asphaltenes in crude oil. V. Sieben, A. Stickel, C. Maife, J. Rowbotham, A. Memon, N. Hamed, J. Ratulowski, and F. Mostowfi, Energy and Fuels, 2017, vol. 31(4), pp. 3684-3697. 20. Rapid determination of boron in oilfield water using a microfluidic instrument. C. Floquet, T. Lindvig, V. Sieben, B. MacKay, and F. Mostowfi, Analytical Methods, 2017, vol. 9, pp. 1948-1955. 19. Determination of boron concentration in oilfield water with a microfluidic ion exchange resin instrument. C. Floquet, V. Sieben, B. MacKay, and F. Mostowfi, Talanta, 2016, vol. 154, pp. 304-311. 18. Microfluidic approach for evaluating the solubility of crude oil asphaltenes. V. Sieben, A. Tharanivasan, S. Andersen, and F. Mostowfi, Energy and Fuels, 2016, vol. 30, pp.1933-1946. 17. Determination of boron in produced water using the carminic acid assay. C. Floquet, V. Sieben, B. MacKay, and F. Mostowfi, Talanta, 2016, vol. 150, pp. 240-252. 16. Asphaltenes yield curve measurements on a microfluidic platform. V. Sieben, A. Tharanivasan, F. Mostowfi, and J. Ratulowski, Lab on a Chip, 2015, vol. 15, pp. 4062-4074. 15. Novel measurement of asphaltene content in oil using microfluidic technology. V. Sieben, A. Kharrat, and F. Mostowfi, SPE Annual Technical Conference and Exhibition, 2013, manuscript SPE-166394-MS, pp. 1-8. 14. A high performance microfluidic analyser for phosphate measurements in marine waters using the vanadomolybdate method. F. Legiret, V. Sieben, E. Woodward, S. Abi Kaed Bey, M. Mowlem, D. Connelly, and E. Achterberg, Talanta, 2013, vol. 116, pp. 382-387. 13. Measurement of Asphaltenes Using Optical Spectroscopy on a Microfluidic Platform. M. Schneider, V. Sieben, A. Kharrat, and F. Mostowfi, Analytical Chemistry, 2013, vol. 85(10), pp. 5153-5160. 12. Lab-on-Chip Measurement of Nitrate and Nitrite for In Situ Analysis of Natural Waters. A. Beaton, C. Cardwell, R. Thomas, V. Sieben, F. Legiret, E. Waugh, P. Statham, M. Mowlem, and H. Morgan, Environmental Science and Technology, 2012, vol. 46(17), pp. 9548-9556. 11. Evanescent Photosynthesis: Exciting cyanobacteria in a surface-confined light field. M. Ooms, V. Sieben, S. Pierobon, E. Jung, M. Kalontarov, D. Erickson, and D. Sinton, Physical Chemistry Chemical Physics, 2012, vol. 14, pp. 4817-4823. 10. Temporal Optimization of Microfluidic Colorimetric Sensors by Use of Multiplexed Stop-Flow Architecture. I. Ogilvie, V. Sieben, M. Mowlem, and H. Morgan, Analytical Chemistry, 2011, vol. 83(12), pp. 4814-4821. 9. Chemically resistant microfluidic valves from Viton® membranes bonded to COC and PMMA. I. Ogilvie, V. Sieben, B. Cortese, M. Mowlem, and H. Morgan, Lab on a Chip, 2011, vol. 11(14), pp. 2455-2459. 8. 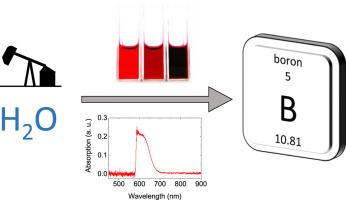 An automated microfluidic colorimetric sensor applied in situ to determine nitrite concentration. A. Beaton, V. Sieben, C. Floquet, E. Waugh, S. Abi Kaed Bey, I. Ogilvie, M. Mowlem, and H. Morgan, Sensors and Actuators B: Chemical, 2011, vol. 156(2), pp. 1009-1014. 7. Nanomolar detection with high sensitivity microfluidic absorption cells manufactured in tinted PMMA for chemical analysis. C. Floquet, V. Sieben, A. Milani, E. Joly, I. Ogilvie, H. Morgan, and M. Mowlem, Talanta, 2011, vol. 84(1), pp. 235-239. 6. Reduction of surface roughness for optical quality microfluidic devices in PMMA and COC. I. Ogilvie, V. Sieben, C. Floquet, R. Zmijan, M. Mowlem, and H. Morgan, Journal of Micromechanics and Microengineering, 2010, vol. 20(6), 065016, pp. 1-8. 5. Microfluidic colourimetric chemical analysis system: application to nitrite detection. V. Sieben, C. Floquet, I. Ogilvie, M. Mowlem, and H. Morgan, Analytical Methods, 2010, vol. 2(5), pp. 484-491. 4. An integrated microfluidic chip for chromosome enumeration using fluorescence in situ hybridization. V. Sieben, C. Debes-Marun, L. Pilarski, and C. Backhouse, Lab on a Chip - Special issue on point-of-care-diagnostics, 2008, vol. 8(12), pp. 2151-2156. 3. FISH and chips: chromosomal analysis on microfluidic platforms. V. Sieben, C. Debes-Marun, P. Pilarski, G. Kaigala, L. Pilarski, and C. Backhouse, IET Nanobiotechnology, 2007, vol. 1(3), pp. 27-35. 2. Small volume PCR in PDMS biochips with integrated fluid control and vapour barrier. A. Prakash, S. Adamia, V. Sieben, P. Pilarski, L. Pilarski, and C. Backhouse, Sensors and Actuators B: Chemical, 2006, vol. 113(1), pp. 398-409. 1. Rapid on-chip postcolumn labeling and high-resolution separations of DNA. V. Sieben and C. Backhouse, Electrophoresis, 2005, vol. 26(24), pp. 4729-4742. 5. US 10,065,187 B2: Centrifugal platform and device for rapid analysis of oilfield fluids. 4. US 10,031,122 B2: Automated method and apparatus to characterize solubility of asphaltenes of a hydrocarbon fluid sample utilizing microfluidics. 3. US 9,689,858 B2: Method and apparatus for measuring asphaltene onset conditions and yields of crude oils. 2. US 9,068,962 B2: Method and apparatus for determining asphaltene yield and flocculation point of crude oil. 1. US 9,025,152 B2: Microfluidic absorption cell. 9. US 20180059088 A1: Systems and methods for detection of mercury in hydrocarbon-containing fluids using optical analysis of slug flow. 8. US 20180003619 A1: Systems, methods and apparatus for analysis of reservoir fluids using surface plasmon resonance. 7. US 20170131204 A1: Optical sensors using surface plasmon resonance to determine at least one property relating to phase change of a hydrocarbon-based analyte. 6. US 20170082551 A1: Mobile microfluidic determination of analytes. 5. WO2016209248 A1: Microfluidic method for detection of fines, waxes, and asphaltenes in oil. 4. WO2016200365 A1: Automated method and apparatus for measuring saturate, aromatic, resin, and asphaltene fractions using microfluidics and spectroscopy. 3. WO2016163990 A1: Method of predicting the concentration of asphaltenes using a first precipitant and correlation back to an asphaltene concentration measurement using a second precipitant. 2. US 20120288672 A1: Solvent vapor bonding and surface treatment methods. 1. US 20120082978 A1: Cell analysis on microfluidic chips. Determination of Asphaltenes Using Microfluidics, Analytical Methods in Petroleum Upstream Applications, F. Mostowfi and V. Sieben. Edited by C. Ovalles and C. Rechsteiner Jr., February 26, 2015. Taylor & Francis, 2014. Pages 337. ISBN 9781482230864. ASTM D7996: Standard Test Method for Measuring Visible Spectrum of Asphaltenes in Heavy Fuel Oils and Crude Oils by Spectroscopy in a Microfluidic Platform. Content © 2018 Sieben Laboratory. All rights reserved.